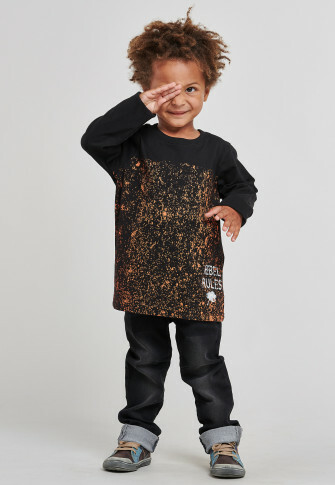 This black boy's long-sleeved shirt is just right for little ruffians! 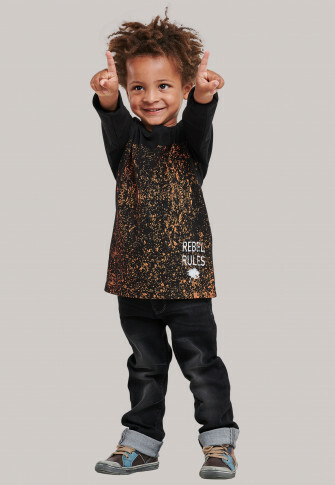 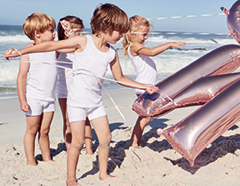 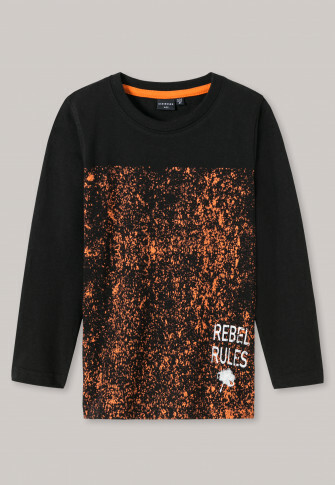 Because with the cool orange-colored flecks and the white lettering "Rebel Rules" our little rebels really look great! 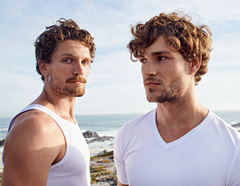 Thanks to soft single jersey made of 100% cotton, the long-sleeved shirt is amazingly comfortable and guarantees all kinds of adventure - of course in the best SCHIESSER quality!